Is it ever too late to start a new tradition in the family? We will be attending Candlelight Christmas this next week! 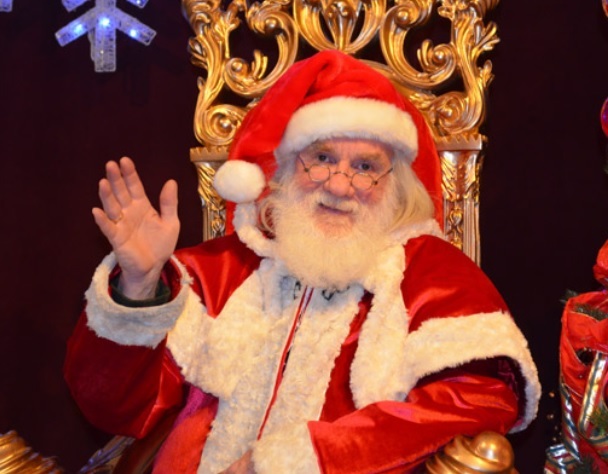 Since I first visited 'This Is The Place Heritage Park' about 16 months ago, and found out about the fun, family-friendly events that coincide with major holidays, I am a huge fan! This will be my first time ever to attend the St. Ives inspired Christmas Village! I know it will be awesome, because everything else I have attended has been wonderful! 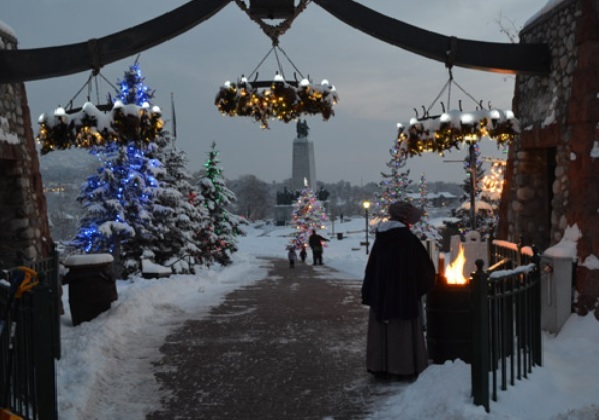 This year the Candlelight Christmas Village is open December 7 - 23 & the 26th (Monday - Saturday). It opens at 5 pm and closes at 9 pm. Make sure to wear your warm and festive clothing! The Park is located in Salt Lake City near the Capitol and Hogle Zoo. $11/adults, $8/children (3-11) & seniors, Free/children (2 and under) or if you mention A GAL NEEDS...you will receive $2.00 off all tickets purchased! Take home a little bit of Christmas by joining in the fun of making crafts and homemade gifts in one of the decorated homes or pioneer cabins. And you can save on all your holiday shopping when you visit the park. The Gift Shop at the Visitor's Center and the ZCMI Mercantile have Salt Lake's best selection of unique, all-occasion gifts for everyone on your list! And don't forget to warm up with a hot soup meal at the Huntsman Hotel, complete with a sweet treat for those who have been good this year! Observe a Christmas of over a century ago, quieter, more simple, fun for all. Take a stroll through streets ringing with music and make Candlelight Christmas part of your cherished family traditions. 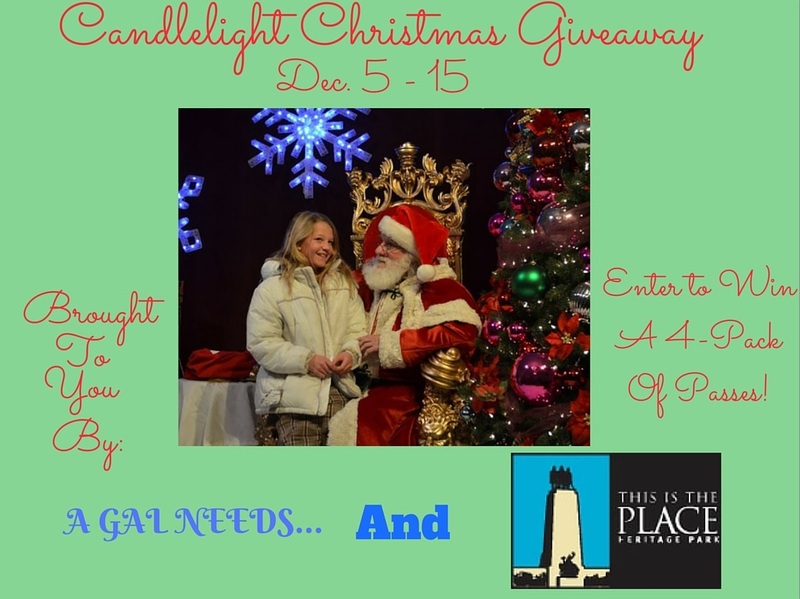 Giveaway: One winner will receive 4 tickets to Candlelight Christmas!